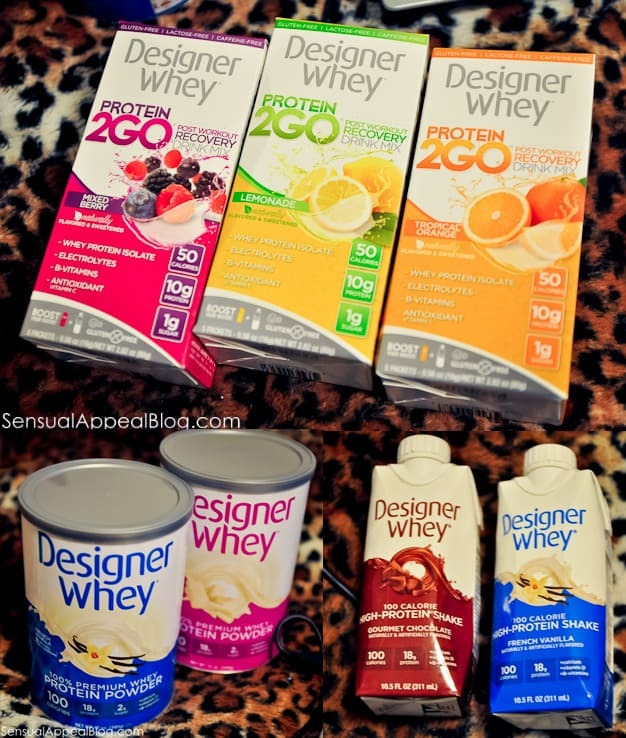 Have you ever tried the Designer Whey products? 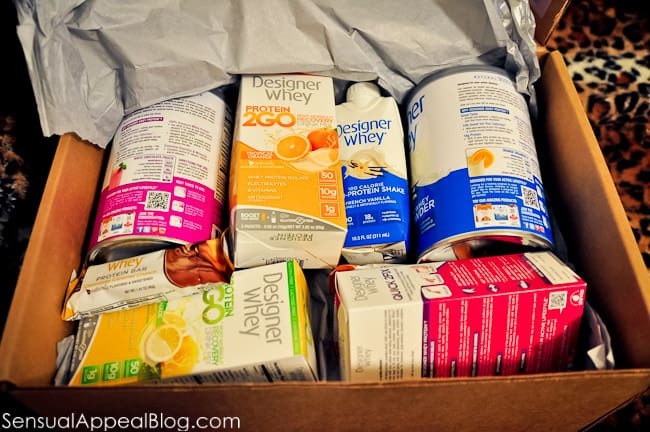 I tried the Designer Whey products for the first time after winning them in a giveaway. I automatically fell in love with the products. 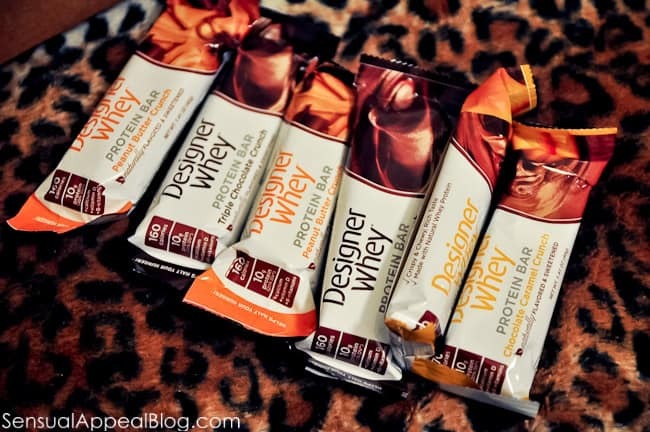 I only got to try the Protein Crunch bars and the Protein Shakes – but that was enough to make me be super excited about reviewing a full line of Designer Whey. The first time I talked about the crunch protein bars was a few months ago on Instagram. I seriously swooned over how delicious these were – and granted, I only tried the Caramel Crunch variety at the time, but after trying the other flavors, I can assure you that they are all delicious! Although the Caramel Crunch remains my favorite. I also got to try the ready-to-drink protein shakes before and I was happy to see that I still love the flavors. These shakes are silky smooth and deliciously sweet. They seriously taste just like a milkshake… except, ya know – not frozen. I like being creative with my protein shakes and I ate it with cereal as I usually do with mixed protein shakes I make with almond milk. But I don’t necessarily recommend this option. 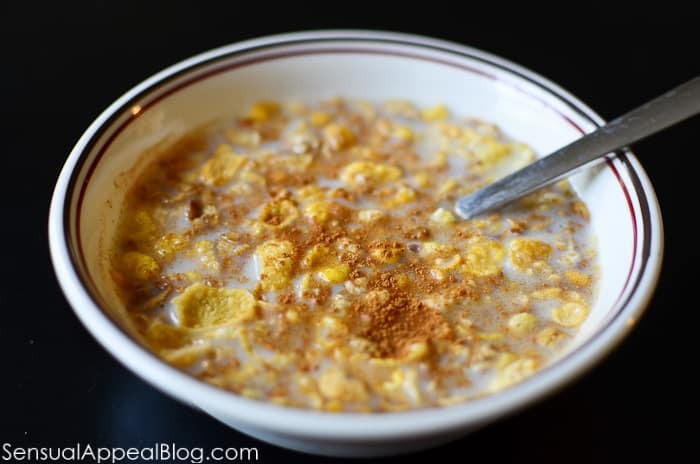 I realized that cereal masked the flavor of the protein shake itself. Since I like the flavors so much, it’s just pointless to have it this way. After this one experiment, I went back to simply drinking the protein shakes and basking in their full yummilicious glory. The protein powders make my protein powder collection bigger! Thankfully I just ran out of chocolate protein powder so this package couldn’t have come at a better time! Protein powders are a must. Interested to learn why whey protein is good? Check it out in my post about the Pros & Cons of every Protein Powder. What’s your favorite protein powder flavor you’ve ever had? Do you like ready-to-drink protein shakes or do you prefer to make your own? Why? Disclosure: I received the product as part of Fitfluential campaign. I was not otherwise compensated. All opinions are my own. Gosh, I go back and forth with protein shakes. I love to make my own with the powders. Right now I’m into Vega All In One Vanilla Chai. I like to make it with a banana and spinach…and lots of ice. YUMMO! I still drink my Shakeology when I need a chocolate fix! The flavor is Chai? That sounds pretty awesome, I have to admit. Care to share your opinions about it? Does it actually taste like chai or more like vanilla? That’s awesome! The link didn’t work but I looked it up. I am a big fan of Vega, I just tried it for the first time not too long ago. I found the Chai flavor you mentioned. Totally gonna put it on my to-get list 🙂 Thanks for the tip! Wow these sound really good. It’s important to me to have quality, good tasting protein powders. I’m def a fan of whey too. I like using banana flavored powder for smoothies and light baking but the chocolate is my go to for drinks after gym time! I didn’t even know there was a banana flavor. For me though I like to use actual banana. I also have a pretty cool Caramelized Banana all-natural flavoring that I use sometimes, it’s awesome. I don’t actually own any protein powder but I was thinking of getting some sun warrior as I’d heard good things about it. 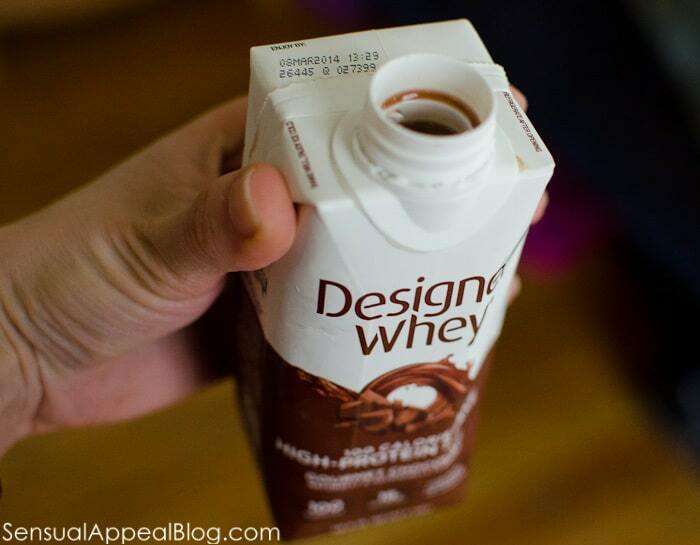 I don’t think they sell Designer Whey here in Australia that I’m aware of. I have never tried SunWarrior but I did hear good things as well. I also like Vega, since we’re on the topic of plant-based. Have you tried it?